If you have thousands, if not hundreds of products on your WooCommerce store, editing or updating product information can be a real pain. One such problem is bulk editing Product variations. Since there are a lot of common properties between the variations, updating each product variation can be tiring and time-consuming. Hence, you are always on the lookout to find the right WooCommerce plugin for the job. The ELEX Bulk Edit Products, Prices & Attributes for WooCommerce plugin is just the most fitting plugin for the job. 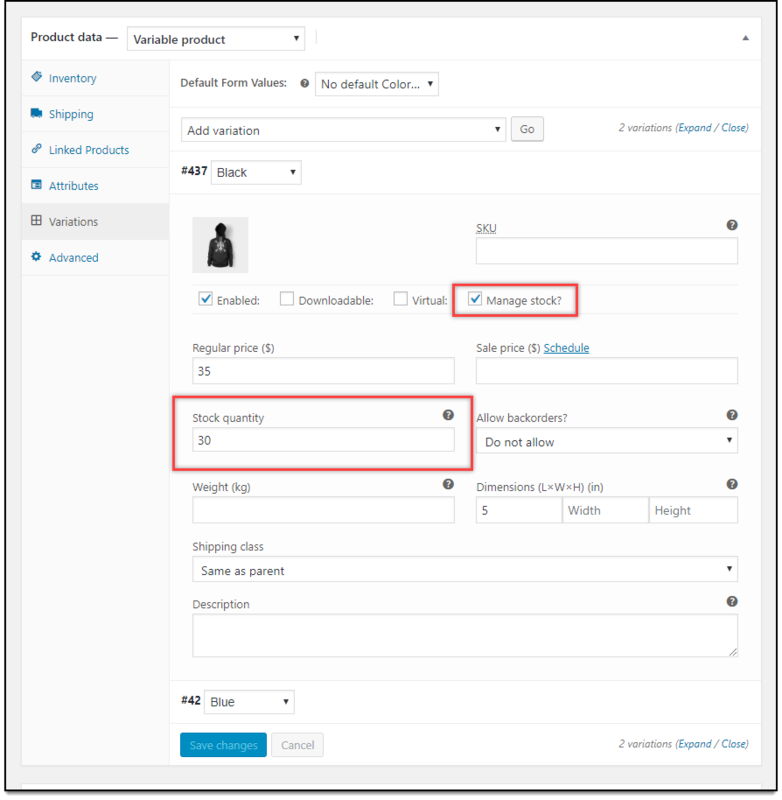 In this article, I’ll demonstrate how you can bulk edit product variation in WooCommerce with ELEX Bulk Edit Products, Prices & Attributes for WooCommerce. Let us take a use-case where stock management and stock quantity information are not present for variable products of a particular category. Let’s update this information using our ELEX bulk edit plugin. The first stage of the bulk editing product properties is to filter the desired products. In the plugin settings, there are several filters like Product title, Product Types, Product Categories, Product Attributes, and Product Regular Price, that you can make use of. For our demonstration, we need to filter Product types as ‘Variable (Parent)’ and ‘Variable (Variation)’ and choose Product Category as ‘Clothing’. This means the variable products of all Clothing products are to be filtered for bulk editing. Click Preview Filtered Products to proceed further. The preview stage will show you the filtered products. Based on our demonstration, the plugin has filtered all Clothing Variable products. If you are not happy with the filtered products, you can go back and update the desired filters. Else, click Continue to proceed to the next step. The plugin offers various product properties for bulk update. But for our demonstration, we need to scroll down to find the ‘Stock’ section. 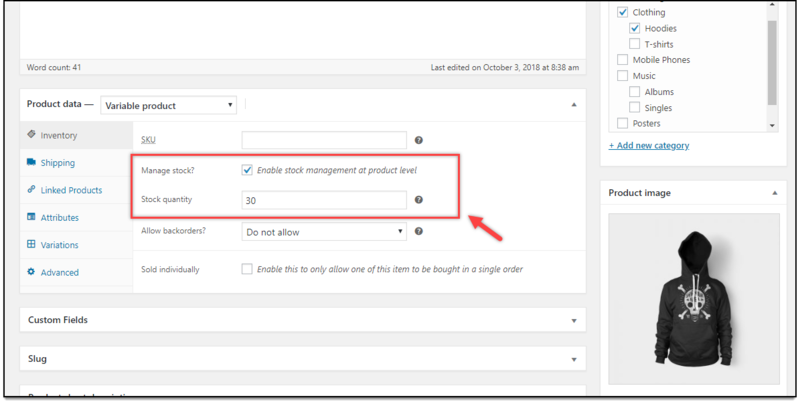 In the Manage Stock setting, select Enable option. In the Stock Quantity setting, select Replace value to replace any existing value with the given value. Next, enter a numeric value for the stock quantity. For example, let the stock quantity for all the filtered variable products be 30. 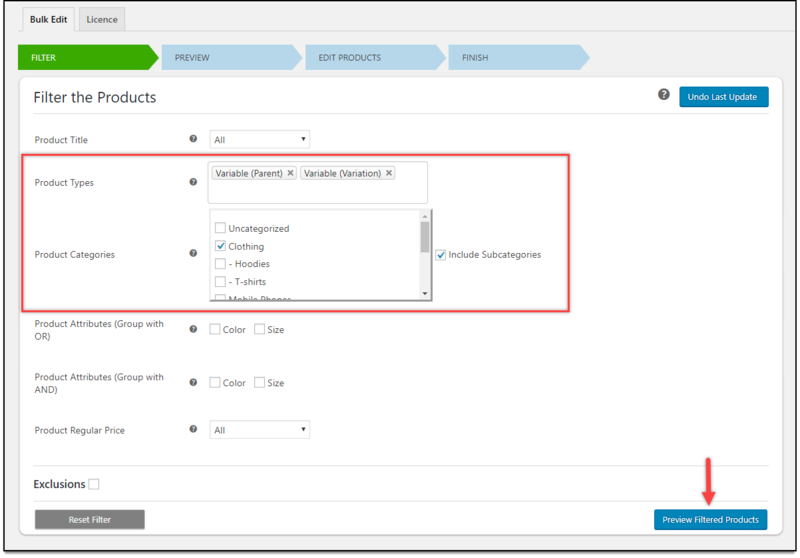 In the same way, you can choose to bulk edit (or update) other product properties for the filtered products. Click on Update Products button to proceed with the bulk update. The products will then be updated with the required changes done in the ELEX bulk edit plugin. Open a variable product page to edit. Move to the Product data metabox to see the updated changes. The ‘Inventory’ section will you that stock management is enabled and the stock quantity is updated to 30. Next, go to the ‘Variation’ section and click on a variation to see its individual settings. You can see that the same setting is applied to all the variations as well. In the sense, the stock management is enabled and the stock quantity is updated to 30. In this way, you can bulk edit product variation in WooCommerce. In addition to this, there are a lot of things that you can achieve with this plugin. 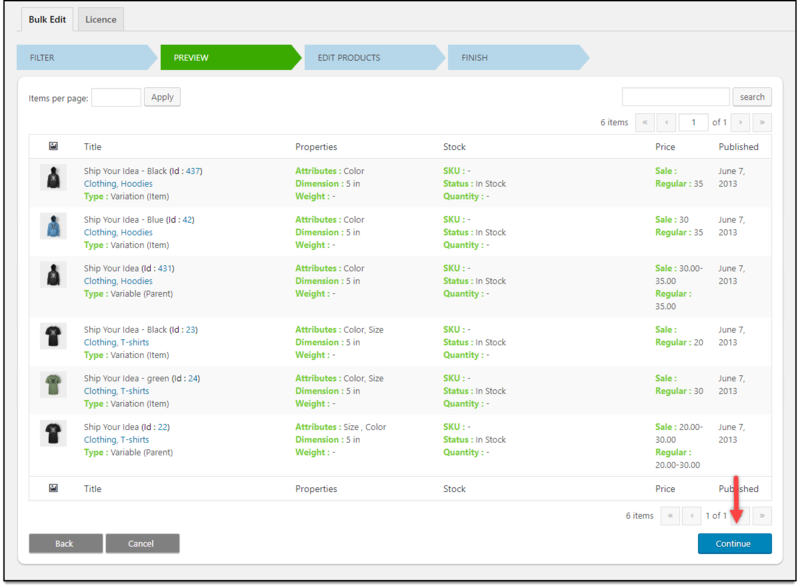 You can bulk edit product shipping classes, sale price, regular price, weight, dimensions, attributes, and categories. If you are not happy with the end result, our plugin provides an option to revert back to the last state using the Undo Last Update feature. To explore more details about the plugins, go check out ELEX Bulk Edit Products, Prices & Attributes for WooCommerce. Read the article for setting up ELEX Bulk Edit to understand the plugin, in detail. Or check out the product documentation section for more related articles.